Bishop William Lee Bonner was born on November 21, 1921 in Bolden County Georgia, to Emmett and Janie Bonner. Bishop Bonner was married to the late Ethel Mae Smith Bonner. He is the father of two children, Ethel Mae Bonner Archer and William Lee Bonner, Jr.
Bishop Bonner's ministry began in the 1940s under the tutelage of the late Bishop Robert C. Lawson (1883-1961) founder of the Church of Our Lord Jesus Christ of the Apostolic Faith. His first pastorate was the Green Avenue Church of Our Lord Jesus Christ in Brooklyn, New York. It was in 1944 that Bishop Lawson sent Bishop Bonner to Detroit to pastor the First Church of Our Lord Jesus Christ. It was a store front. Today, it is a two thousand and five hundred (2,500) seat edifice is known as Solomons Temple. In 1961, upon the death of Bishop Lawson, Bishop Bonner became the pastor of the three thousand (3,000) member mother church, the Greater Refuge Temple in Harlem, New York City. Apostle Bonner currently pastors churches in Detroit, Michigan, New York City, Washington, D.C., Jackson, Mississippi, and Columbia, South Carolina. He is the Chief Apostle and Senior Prelate of the General Assembly of the Churches of Our Lord Jesus Christ of the Apostolic Faith, Inc. This is an international body of churches. Under his administration, the assembly has grown from one hundred and fifty-five (155) churches in 1961 to over five hundred (500) churches and missions throughout the world. He has faithfully kept the charge of the founder Bishop Lawson, to "Add Thou to It". Bishop Bonner received his religious education and the Doctor of Divinity through the Church of Christ Bible Institute in New York City. 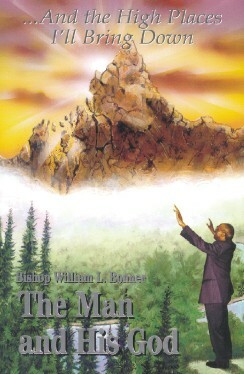 Pastor Bonner is listed in Who�s Who in Religion (1985). Bishop Bonner's ministry is based on prayer and faith in God. His message is one of hope and deliverance. He believes that those who pray can expect a miracle. The Refuge Temple of Columbia, South Carolina ground breaking was on July 20, 1993. It was organized with only twenty-two (22) members, within three years, the congregation has grown to seven hundred (700). The church is located on twelve and one-half (12.5) acres in the Eau Claire section of Columbia, South Carolina. Pastor Bonner's ministry in Columbia also consists of the Family Life Center, Retirement Community and the W.L. Bonner Bible College. Previously taped television broadcast can be viewed every Sunday at six o'clock am on WIS-TV channel ten. Previously taped radio broadcasts can be heard nightly at ten o'clock pm on WMFV channel 95.3, both in the Columbia viewing and listening area. Copyright � 2004 Christ Temple Church of the Apostolic Faith Inc.